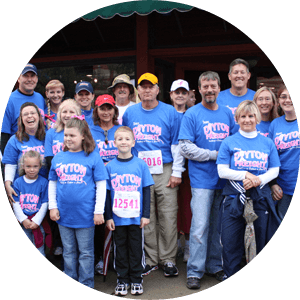 An important aspect of The Dayton Difference is a focus on charitable giving. Corporately, we have made the conscious decision to focus our philanthropic efforts on a select few organizations so as to offer a greater impact. Our selected organizations include The Salvation Army, Hospice of Dayton, American Cancer Society, YMCA, American Heart Association, Alzheimer’s Association as well as Wright State University and the University of Dayton. Our commitment is not merely financial; we also offer leadership, and the involvement of our employees. Just as important, many of our Service Center employees take it upon themselves to volunteer their time, raise funds and donate food and clothing for a host of worthwhile causes. Food pantries, animal shelters, disease research firms, children’s causes and more have all benefitted from the generosity of Dayton Freight employees. Dayton Freight is a member of the SmartWay Transport Partnership. This is an innovative collaboration between the Environmental Protection Agency and the freight industry to increase energy efficiency while decreasing greenhouse gases and air pollution. Reducing the amount of engine idling time is an important part of this new initiative. In addition to helping our environment, it will save money on fuel, truck maintenance and engine life. Already, several municipalities and states have adopted anti-idling regulations and we believe those numbers will rise. By decreasing engine idling, we can have a positive impact on two very important issues: air pollution and our country’s dependence on foreign oil. Dayton Freight does its very best to protect our natural resources in the course of daily business operations. 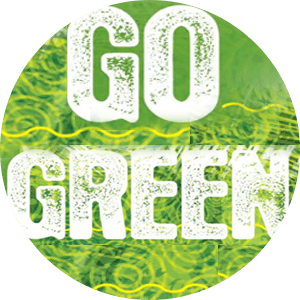 Our “Go Green” initiative has resulted in a smaller carbon footprint and an immeasurable, positive effect on the future health of our planet. The socially-conscious decisions we make today will not only impact our current work environment, but will help to provide a better world for generations to come. Paperless systems, energy reduction, use of biodegradable products, recycling and fuel conservation are just some of the ways Dayton Freight is leading the charge for a greener workplace, and planet.